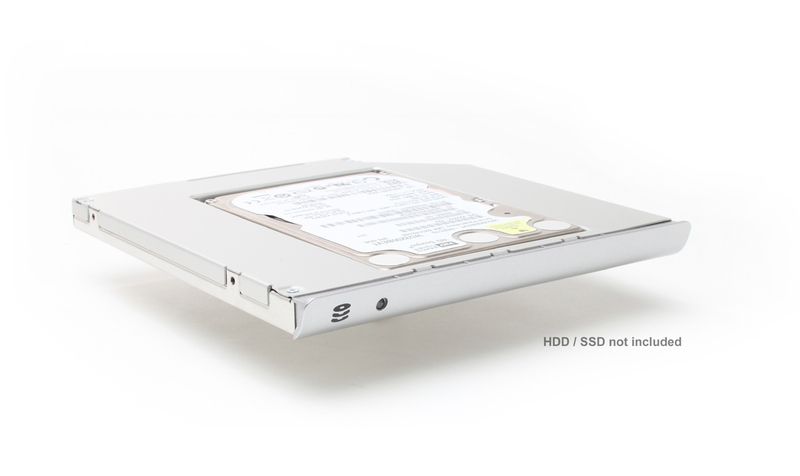 Add a Second Hard Drive to your Sony VAIO SE Series (VPC-SE Series) laptop using your laptop's optical CD/DVD drive bay. 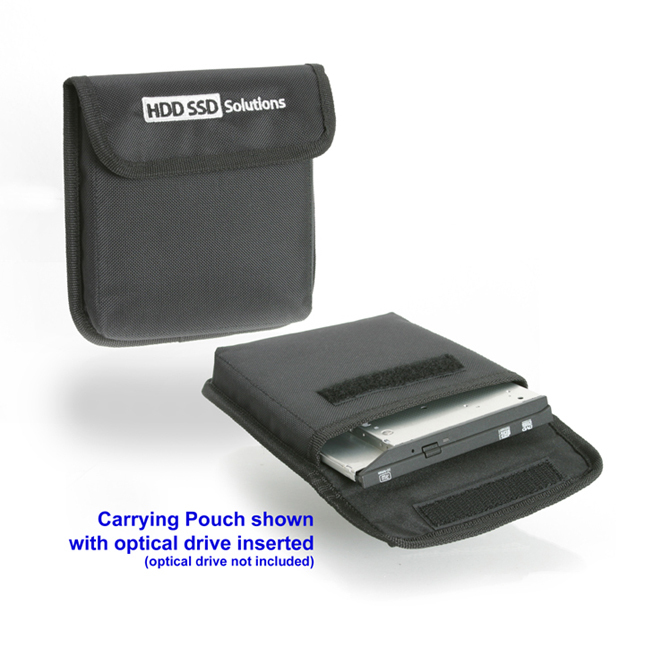 This is a great solution for those that want to add a second hard drive in their laptop in replacement of the Optical drive. 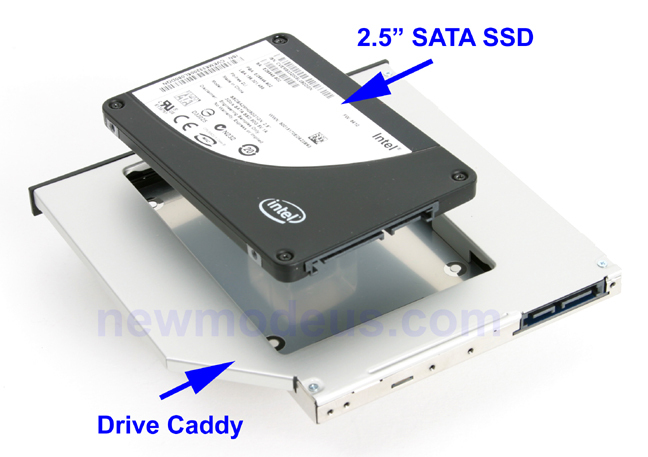 This device/caddy will fit in the SATA CD/DVD Optical drive bay found in the Sony VAIO SE. We offer this caddy in two different faceplate colors--silver or black. 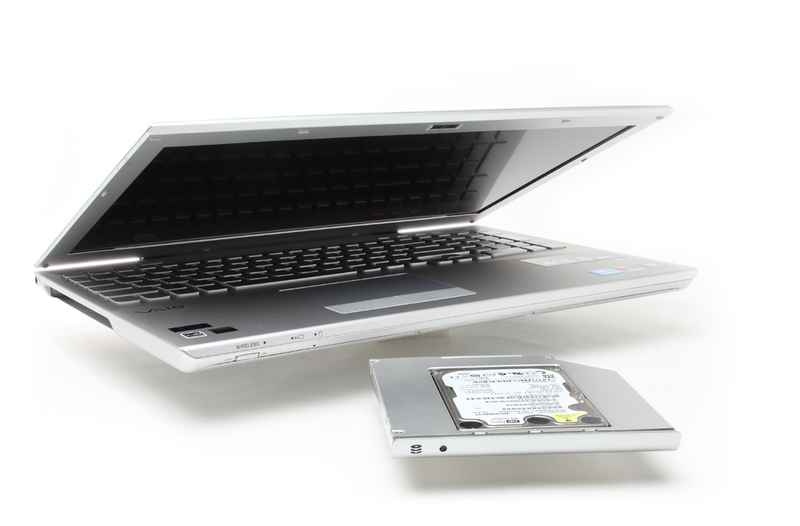 This particular item is for the "Silver" Sony VAIO SE. 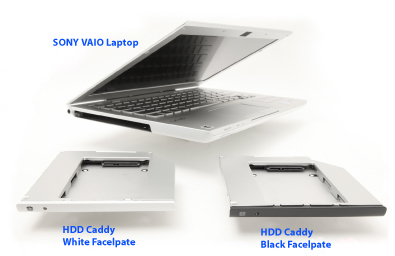 This is a nicely finished product, made specifically to match your VAIO laptop. 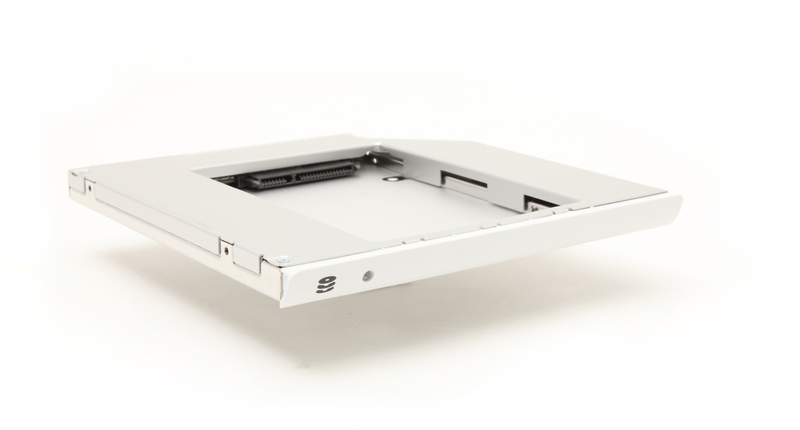 The front faceplate is manufactured to match the silver color and contour of the laptop. The metal bracket is finished in a nice silver sheen.